Larry Culliford was a hospital doctor and GP before becoming a psychiatrist. In 1998, he helped found the ‘spirituality and psychiatry’ special interest group of the Royal College of Psychiatrists. He is a long-term member of both the Scientific and Medical Network and BASS (the British Association for the Study of Spirituality). He is a former Chair of the Thomas Merton Society of Great Britain and Ireland, also a life member of the Movement for the Abolition of War (MAW). Larry’s books include ‘The Little Book of Happiness’ (as ‘Patrick Whiteside’), ‘Love, Healing & Happiness’, ‘Much Ado about Something’, and 'The Psychology of Spirituality: An Introduction' . He has been blogging regularly on the ‘Psychology Today’ website since 2012. 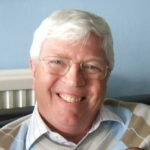 Larry Culliford was a hospital doctor and GP before becoming a psychiatrist. In 1998, he helped found the ‘spirituality and psychiatry’ special interest group of the Royal College of Psychiatrists. He is a long-term member of both the Scientific and Medical Network and BASS (the British Association for the Study of Spirituality). He is a former Chair of the Thomas Merton Society of Great Britain and Ireland, also a life member of the Movement for the Abolition of War (MAW). Larry’s books include ‘The Little Book of Happiness’ (as ‘Patrick Whiteside’), ‘Love, Healing & Happiness’, ‘Much Ado about Something, and ‘The Psychology of Spirituality: An Introduction’. He has been blogging regularly on the ‘Psychology Today’ website since 2012.